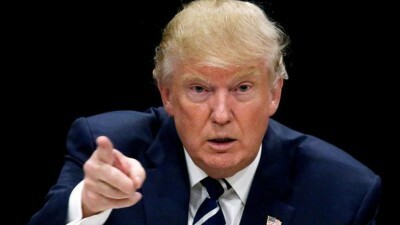 The Department of International Relations (Dirco) says if the US embassy in Pretoria does not offer a valid and justified explanation of President Donald Trump’s “shithole countries” comments regarding African countries, then they will demand an apology from him. Dirco will on Monday request a meeting with a senior official from the embassy over Trump’s comments and vulgar use of language when referring to migrants from Africa, Haiti and El Salvador. Department spokesperson Clayson Monyela says the department wanted to take action in order to protect and affirm the dignity of African people. “African people are very sensitive about discrimination based on race given the history that we come from. That is why it is important for us as the South African government to protect the dignity of the people of Africa that are seeking residence in the United States,” says Monyela. Neighbouring Botswana was the first African nation on 12th January to condemn President Trump’s remarks and summoned the US Ambassador to Botswana to express its displeasure and called on SADC and the African Union to do the same. The AU has since condemned the remark. Zambia on the other hand has remained mute on the matter just like it did few weeks ago when it abstained from a UN vote condemning the US move to recognise Jerusalem as the capital city of Israel.